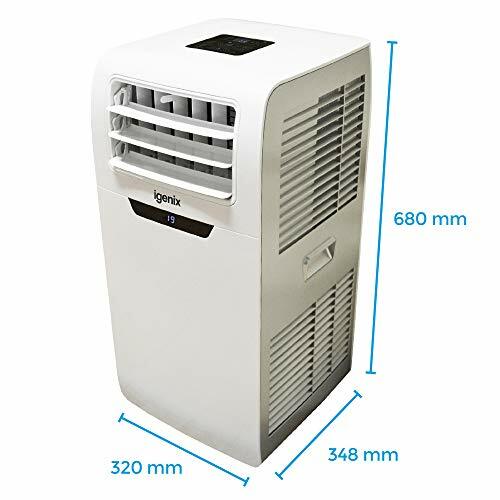 Product Description The Igenix IG9901 Portable Air Conditioner is ideal for small to average sized rooms ranging up to 20m². 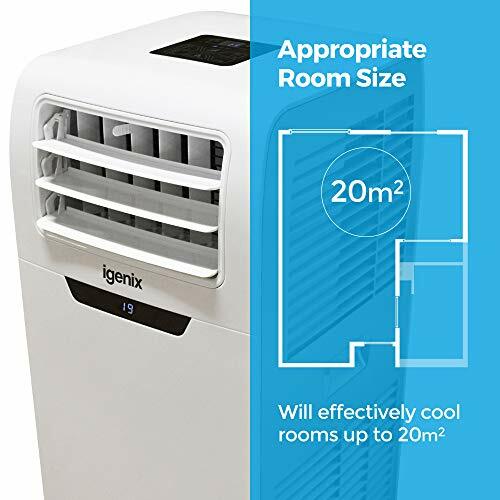 It expertly combines style with efficiency and can be placed unobtrusively into any room in the house, conservatory, garage, outbuilding, office, mobile home or caravan. 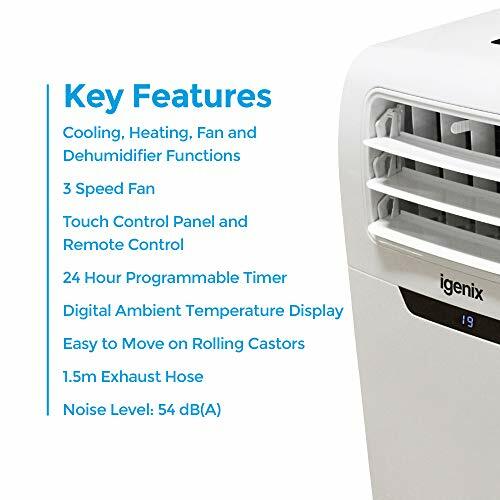 This multifunctional unit offers individual fan, cooling and dehumidifying modes to help create the perfect environment throughout those summer months. 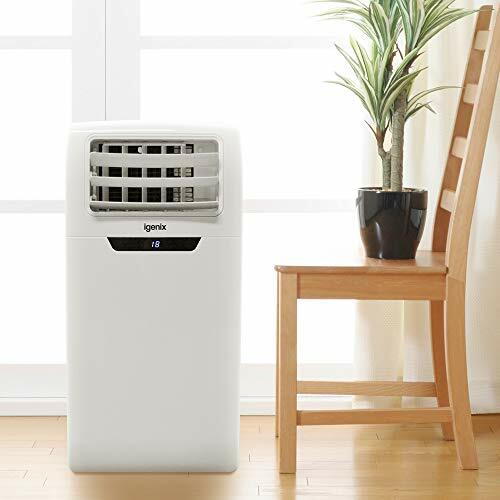 An air conditioner uses a closed refrigerant system, which uses expansion of a compressed gas to absorb heat at the evaporator. 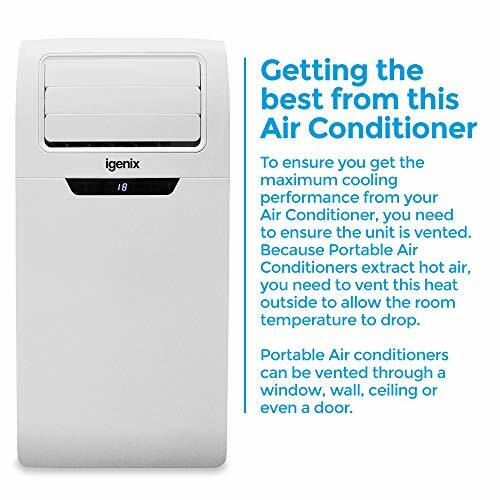 The gas is compressed with a compressor. 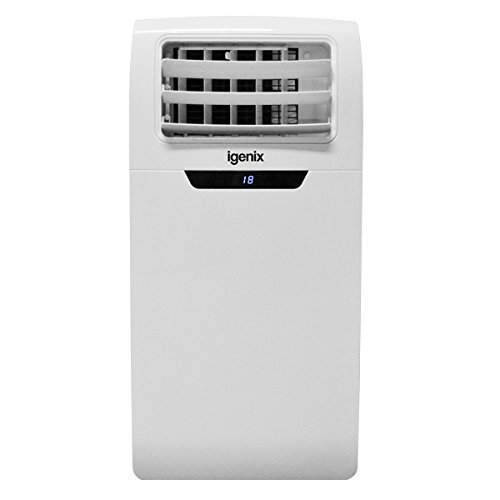 The heat is released through the condenser, whilst fans pass air over the evaporator and condenser. 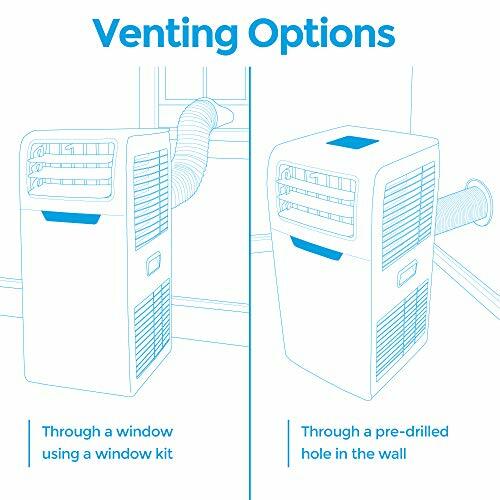 It comes with a 1.5 metre exhaust hose in order to extract the moisture from inside the room to outside via a vent.